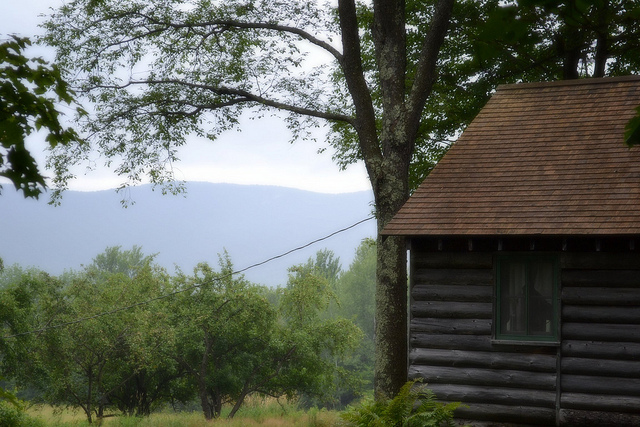 There is a place that I love, nestled in the Green Mountains of Vermont. It's the sort of place that quietly shines with simplicity and makes you feel the possibility of things. It isn't much by most standards, but at the same time, it is everything. I remember the first time I came here, thinking "Of course those words were written here, how could they not have been?" I'm surprised by how accessible it is. A short drive down a dirt road, then a brief walk up a foot path into the woods... no gates, no visiting hours, not a soul around. A cabin in the woods, just sitting, being. 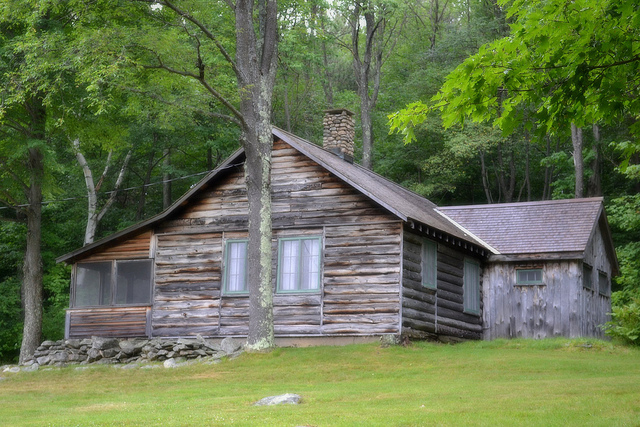 The humble work of this cabin is in the past and the world has been made better for it. Imagine if these walls - tucked beside the apple trees, overlooking fields and mountains, had never existed. If one man did not have this place to spin words and revel in nature. We would be without some of the most beautiful poetry ever written. 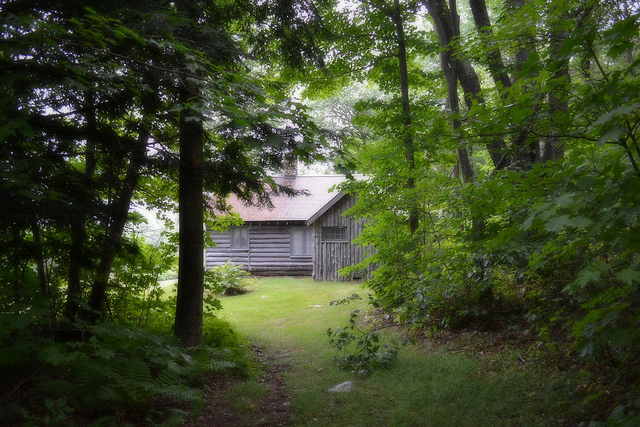 This was Robert Frost's cabin; from 1939-1963 he spent summers here writing much of the poetry you and I love. Can you imagine having such a place to stir creativity and inspire your craft. I am reminded of a time when artists were encouraged to be artists, to create prolifically and share beauty with the world. I think of yogis and prophets who were told to practice, pray, and offer their gifts of peace and enlightenment to society. I've been thinking a lot about 'place' lately and its affect on the human spirit. On these set apart days we give to ourselves each week, not once do I ever pine for a more hectic pace, a water cooler chat, or a schedule to keep beyond that of following the sun as it traces the sky. My place is in the quiet of nature, the connection with loved ones, the natural unfolding of a simple day. 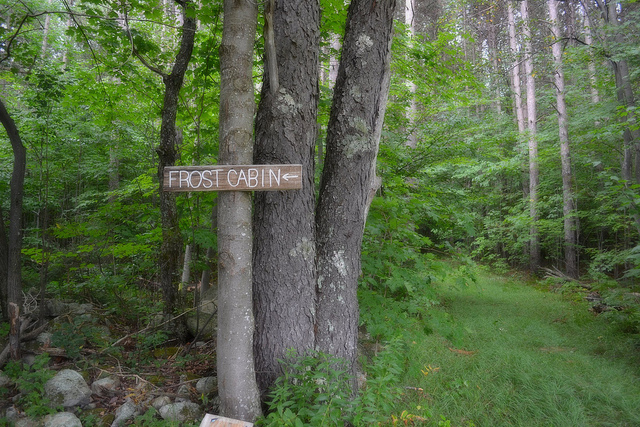 It isn’t much, but then again, most would say Mr. Frost’s place wasn’t much, and look what he did. When you find your place of grace, anything is possible.